The bold racing-inspired perforated pattern is the star detail of this men's stretch twill hat. 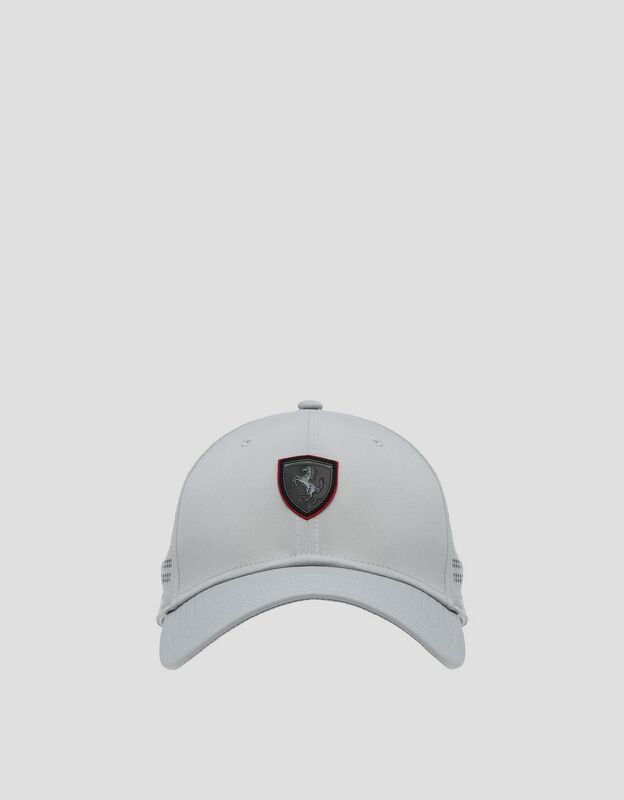 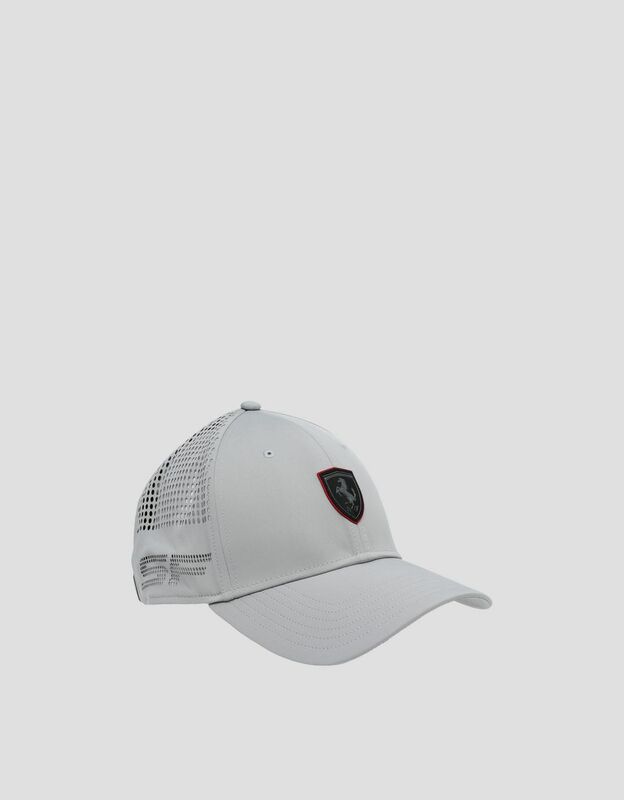 Customized with the iconic Scuderia Ferrari logo, the men's hat features an original perforated pattern on the sides that calls speed to mind. 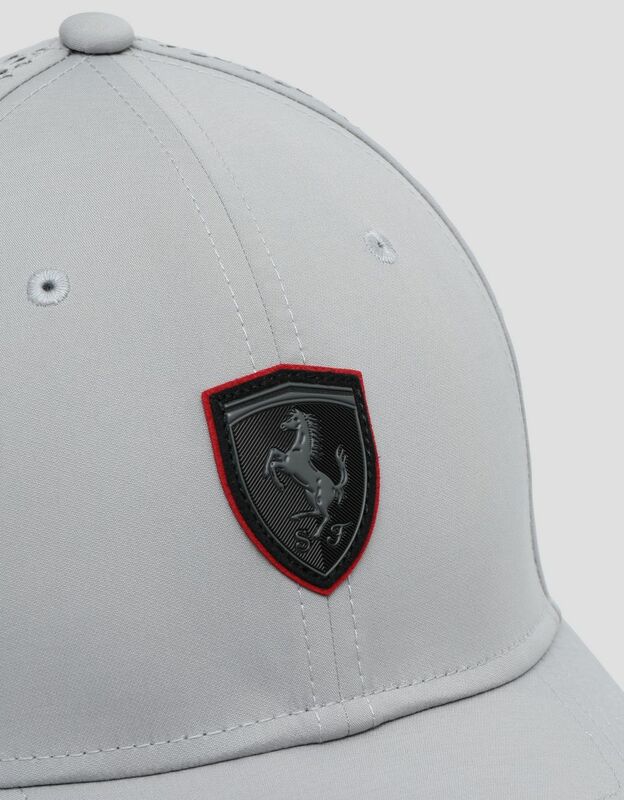 The Ferrari Shield in bold black with a red outline stands out on the front of the accessory. 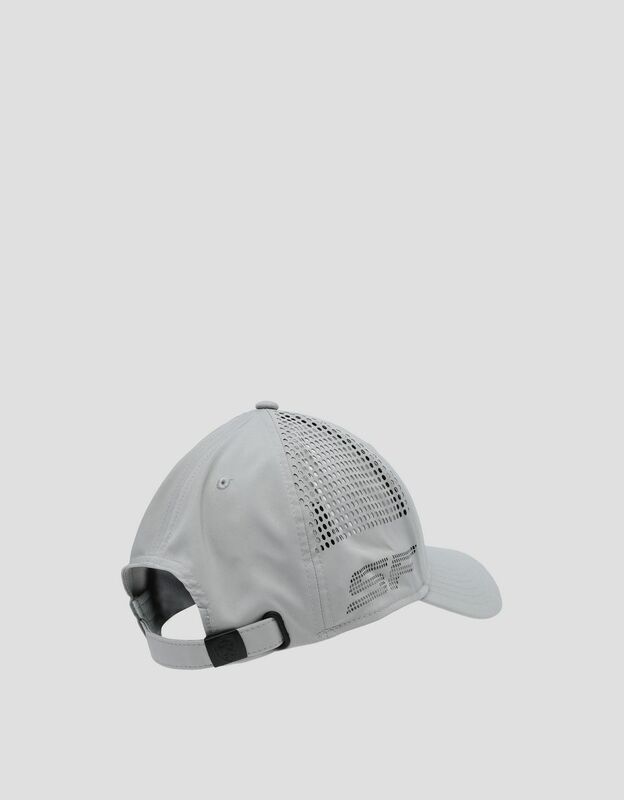 Perfect to wear trackside or to add a touch of racing flair to your outfit, the hat has a black matte metal buckle customized with a raised logo.